← You think Occupy Wall Street is licked ? The black leather jacket was left behind after one of X8’s female conquests, left behind in his car. He gave it to me and it fit. As a vegetarian and beertarian my frame was petite. Now the jacket is dry and shrunken and I’m round and plump. I had my son model it. It was a simple complete-black leather jacket. 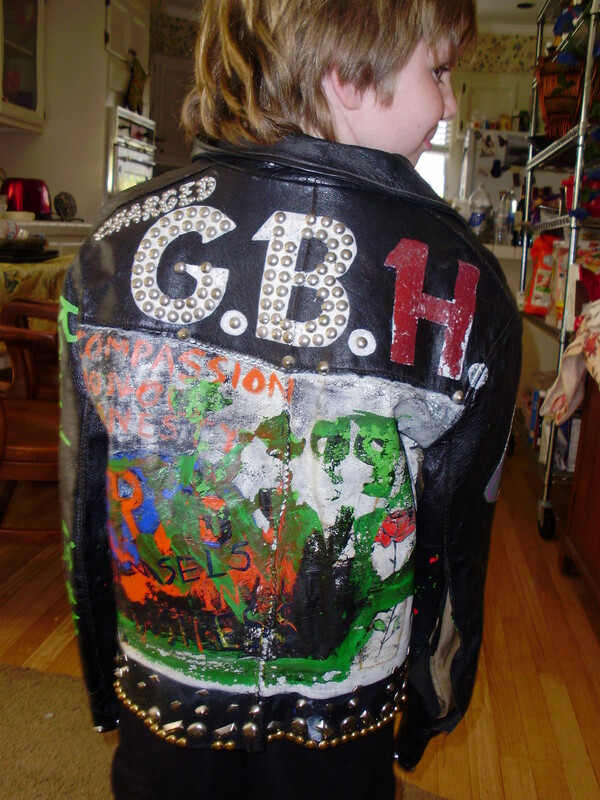 The Charged GBH logo went on top first thing in the early 1980s. I love this jacket. We were inseparable. 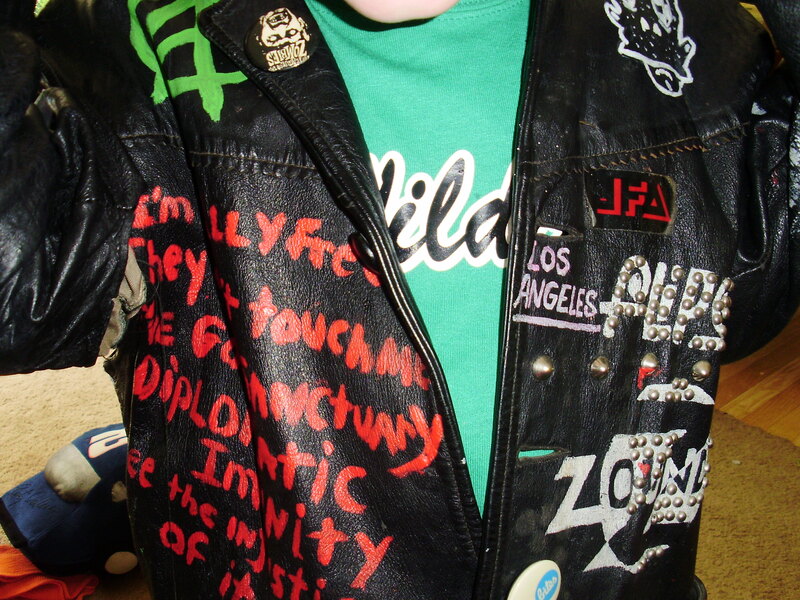 My friendship with X8 faded and he never knew what became of the jacket. A few years ago X8 and I rekindled our friendship for a brief time on MySpace. I told him about the leather jacket and what became of it. He was surprised and seemed interested. This leather jacket is special to me because X8 thought to give it to me, and the girl who left it behind…not a clue? 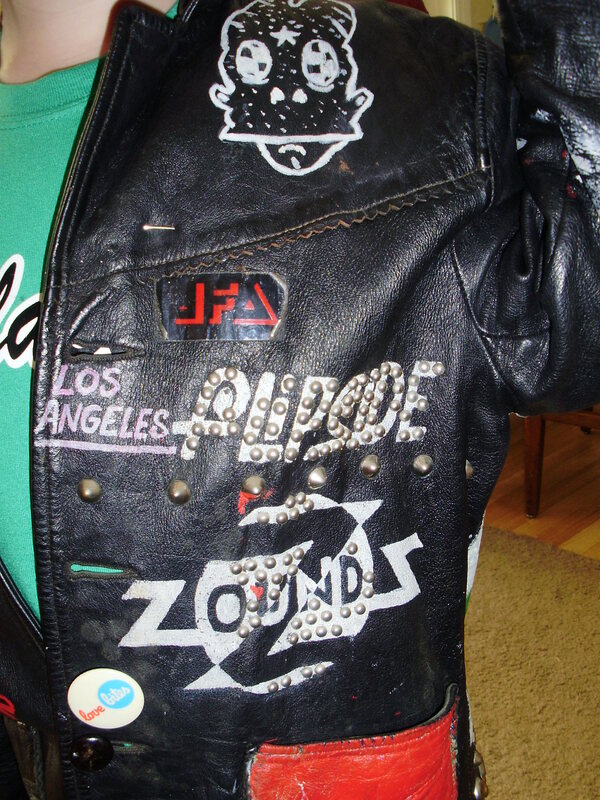 This entry was posted in PUNK NO-stalgia :Punk Rock and tagged beauty, black leather jacket, clothing, Hudley Flipside, Leather Jacket, left behind, myspace, Old School Punk Rock, old school punk rock clothing, Punk Museum, punk music, PUNK NO-stalgia :Punk Rock, punk rock music, X8. Bookmark the permalink.